Pele is ready to play for Brazil Brazilian legendary footballer Pele joked that he is ready to play for his country after being released from hospital in Sao Paulo, Brazil. 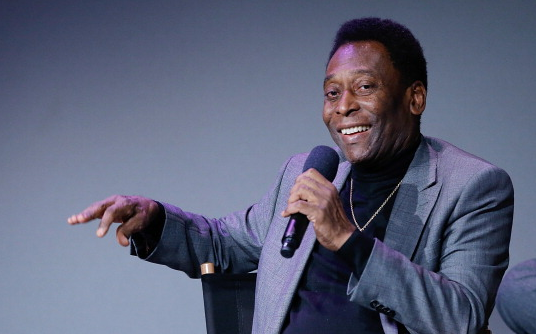 Brazilian legend Pele joked that he is ready to play for his country after being released from hospital in Sao Paulo, Brazil. Pele had a urinary tract infection and he had a successful operation after spending several days in hospital. The 74-year-old who won three World Cup trophies for Brazil during his career talked about helping Brazil in the coming Olympics which will be held in 2016 in Rio, Brazil. Pele said: "I'm well and recovered, and now I am preparing for the Olympics." The Brazilian joked that he is now fully fit to play for Brazil in the Olympics. The former footballer is currently having only one kidney, the other was removed during his playing days. He spent two weeks in the Albert Einstein Hospital for the treatment which was diagnosed on 24th of November. The former Santos forward who will now take rest at home as per Doctor's advice thanked the doctors who cared him during this period. Also, he thanked Gold and all of his friends who sent him messages. Especially, he thanked to his fans who messaged him from around the world. China, Pakistan and from many other countries people sent him messages for his health. In the end Pele added: "Now I am preparing for the Olympics. Three professionals can play in the Olympics and I'm one of the three!" Pele scored 1152 goals in 1222 games for Santos and NY Cosmos in his 21 years of career.